The BEST floor plan in the Orchards at Crooked Tree!! This condominium sits near the 10th tee and has panoramic views of the 10th hole, offers two main floor bedrooms, two full baths, an open floor that is bright and airy, hardwood floors, a beautiful covered porch off the dining room, main floor laundry, and main floor direct access to two car attached garage. Full finished walkout lower level with bedroom, full bath, bar area with mini fridge and cabinetry, large family room area with gas fireplace, storage area and mechanicals. Nice brick paver patio outside lower level slider. Newly painted, numerous other recent updates. 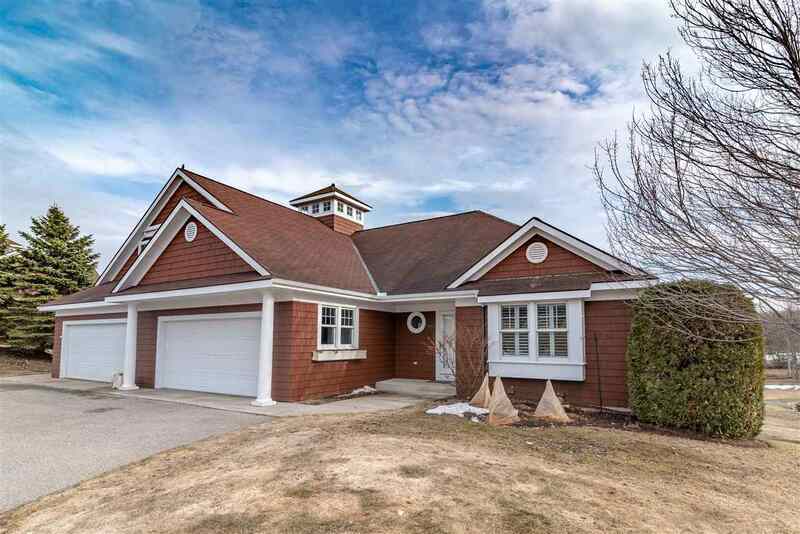 The perfect location close to downtown Petoskey, across from Bay Harbor and access to miles of bike paths!!! !